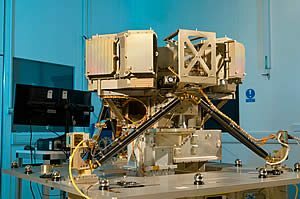 GREENBELT, MD-(ENEWSPF)- The first of four instruments to fly aboard NASA’s James Webb Space Telescope (Webb) has been delivered to NASA. The Mid-Infrared Instrument (MIRI) will allow scientists to study cold and distant objects in greater detail than ever before. 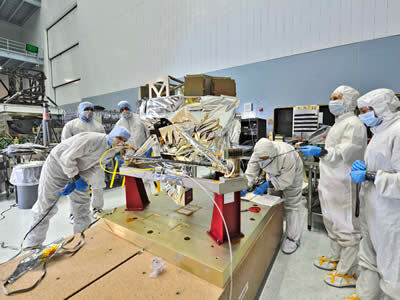 MIRI arrived at NASA’s Goddard Space Flight Center in Greenbelt, Md., May 29. It has been undergoing inspection before being integrated into Webb’s science instrument payload known as the Integrated Science Instrument Module (ISIM). Assembled at and shipped from the Science and Technology Facilities Council’s Rutherford Appleton Laboratory in the United Kingdom, MIRI was developed by a consortium of 10 European institutions and NASA’s Jet Propulsion Laboratory (JPL) in Pasadena, Calif., and delivered by the European Space Agency. George Rieke, MIRI Science Team Lead at University of Arizona, Tucson, noted, "MIRI is the first Webb instrument to be delivered, the result of teamwork in the U.S. and internationally." MIRI’s sensitive detectors will allow it to observe light, cool stars in very distant galaxies; unveil newly forming stars within our Milky Way; find signatures of the formation of planets around stars other than our own; and take imagery and spectroscopy of planets, comets and the outermost bits of debris in our solar system. MIRI’s images will enable scientists to study an object’s shape and structure. "MIRI will help us understand what’s out there at the edge of what we can see," said Mike Ressler, the instrument’s project scientist at NASA’s Jet Propulsion Laboratory in Pasadena, Calif. "The shorter-wavelength instruments will discover the glow of the farthest known objects, but we need MIRI to help identify what they are — supermassive black holes, newborn galaxies or something we’ve never seen before." 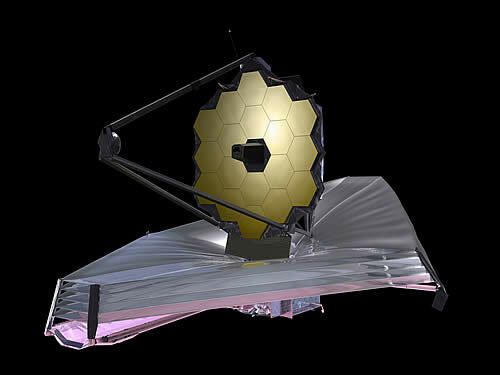 The most powerful space telescope ever built, Webb is the successor to NASA’s Hubble Space Telescope. Webb’s four instruments will reveal how the universe evolved from the Big Bang to the formation of our solar system. 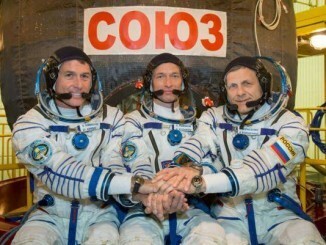 Webb is a joint project of NASA, the European Space Agency and the Canadian Space Agency.